Have you ever felt that you struggle to fit life into your day? Are you too busy doing things for other people who you forget that you need time for you too? If this sounds too familiar and you are struggling to find time for life, then it is time that you stopped and formed a life plan. This is where you write down all the things that are important to you and what you want from your life, all your commitments that you have going on in your life at the moment and then you need to make this list compatible with your life plan. You need to have time for you and time so that you can accomplish your dreams. Are there any things that you just haven’t got time for? Have you spread yourself too thin? Maybe you haven’t got time to help out at all of your children’s school functions, maybe your child doesn’t need to go to a club every-night after school? It is these questions that you need to ask yourself. In the future when asked to help you need to think if you actually do have the time. It is all right to say no when you know that you have too much to do and you just haven’t got the time to help. It is important that work is part of your plan, this will allow you to live and to set good examples for the future generations on how to support yourself. But it is equally important that you have down time too. Is it possible to work on your budget to cut expenses? Would this reduce the amount of hours that you need to work? There are other options that can help make your budget more manageable and the main thing that you need to consider is how you create your budget and where your money is going each month. This area is so important if you are looking for more time for life, it is only through making time that you will feel that you have more time. This is possible if you are fully aware of your financial obligations, you know that your money is working for you and you are not having to pay large sums of your income on interest payments because you haven’t sorted out your personal finances. If you have young children you will know how important it is to get them into a routine, it can make life so much easier if they understand what is happening on a day. This is true in adult lives too, if you plan your day then you will notice just how more organized that you feel and this can make the day’s chores not so difficult and this will mean more time for you in the long run. 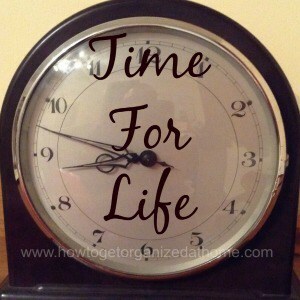 So, how do you make time for life? You need to make sure that you are not over committed to different projects and groups. You need to make sure that your financial situation is in order and you need to plan your day. 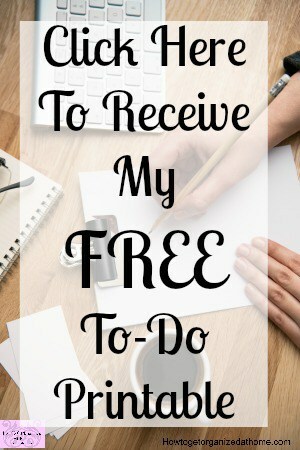 If you plan your day to allow you to have 2 hours down time then this is your time, sometimes things can happen and this is okay because you have got that wriggle room in your day so that you can move things around and accommodate the different areas and yet still find time in your day for you. It might just be that you have a quite shower no interruptions or half an hour playing your favourite computer game, whatever time you have for yourself make sure that it is special to you.